OpenX, a global leader in creating programmatic advertising marketplaces that drive superior monetization for publishers, today announced that its exchange is ranked #1 on Pixalate’s Global Seller Trust Index in all three categories (U.S. Web, International Web, and Mobile App) for September. This marks the third consecutive month the company topped the U.S. rankings, and the first time any company has topped all three indices. OpenX is now recognized as the top source of high-quality inventory across all formats and regions. 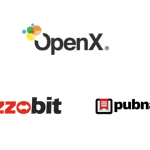 OpenX has been recognized as a leader in quality since 2012, when the company introduced an industry-leading Traffic Quality Monitoring Platform to increase transparency and eliminate fraud in digital advertising. Guaranteeing access to high-quality, fraud-free inventory increases buyer confidence in programmatic and ensures publishers get fair prices for their inventory. The Pixalate Global Seller Trust Index is the international standard in programmatic traffic quality, based on monthly analysis of more than 100 billion monthly impressions. Global quality ratings take a variety of metrics into consideration, including overall effectiveness assessing fraud, viewability, malware, engagement, domain masking and inventory scores. To access a copy of Pixalate’s Global Seller Trust Index, including the methodology, please visit: http://www.pixalate.com. At OpenX we have built a team that is uniquely experienced in designing and operating high-scale ad marketplaces. We are constantly on the lookout for thoughtful, creative executors who are as fascinated as we are about finding new ways to apply a blend of market design, technical innovation, operational excellence, and empathetic partner service to the frontiers of digital advertising.